Frankie Bridge has revealed her ideal Christmas present is a break away with her family - her husband Wayne Bridge and their children Parker, three, and Carter, two. 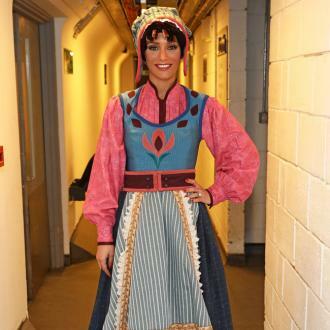 Frankie Bridge's ideal Christmas present is a break away with her family. 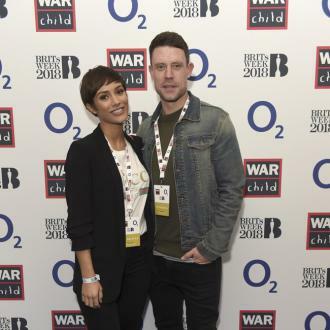 The former Saturdays star loves spending time with her husband Wayne Bridge and their children Parker, three, and Carter, two, and for Christmas this year, all she wants is some time to spend with her family. And Frankie can't wait until the festive season really kicks in so all her extended family can ''come together for a big feast''. She added: ''We are spending Christmas with all the family. Both mine and Wayne's come together for a big feast. I love the whole festive season to be as busy as possible with loads of yummy food and lots of Christmas songs! I start playing them as soon as Halloween is over! Frankie was getting in the Christmas spirit as she helped launch the Disney Store's 'Gift Magic' Christmas campaign at the Disney Store on London's Oxford Street. At stores across the UK, there will be Disney gift experts, the Gift Heroes, on hand, who have the most in-depth knowledge on the latest toys, gifts and collectibles for all ages. The Gift Heroes will also be hosting special in-store events including a free in-store crafting activity, which allows them to create and personalise their own gift tags or you can recreate this fun at home by visiting the events page on the Disney Store website and download the tags.